A single purpose compels him. He must find me, claim me, and master me completely. He isn't just going to strip me, punish me, and use me. He will take me longer and harder than any human ever could, claiming me so thoroughly that I will be left in no doubt who owns me. No matter how shamefully I beg and plead, my body will be ravaged again and again with pleasure so intense it terrifies me to even imagine, because that is what he was built to do. 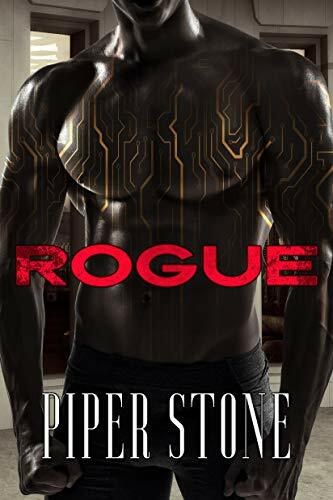 Publisher's Note: Rogue includes spankings and rough, intense sexual scenes. If such material offends you, please don't buy this book. Their orders are to capture, tame, and breed me. They intend to carry out their mission. I thought the Cenzan invaders could never find me here, but I was wrong. Three of the alien brutes came to take me, and before I ever set foot aboard their ship I had already been stripped bare, spanked thoroughly, and claimed more shamefully then I would have ever thought possible. They have decided that a public example must be made of me, and I will be punished and used in the most humiliating ways imaginable as a warning to anyone who might dare to defy them. But I am no ordinary breeder, and the secrets hidden in my past could change their world... or end it. Publisher's Note: Capturing Their Mate is a stand-alone novel set in the same world as Conquering Their Mate. It includes spankings and sexual scenes. If such material offends you, please don't buy this book. They're not just going to conquer me, use me, and enjoy me. They're going to breed me. For years the Cenzans have cast a menacing eye on Earth, but it still came as a shock to be captured, stripped bare, and claimed as a mate by their leader and his most trusted warriors. It infuriates me to be punished for the slightest defiance and forced to submit to these alien brutes, but as I'm led naked through the corridors of their ship, my well-punished bare bottom and my helpless arousal both fully on display, I cannot help wondering how long it will be until I'm kneeling at the feet of my mates and begging them take me as shamefully as they please. Publisher's Note: Conquering Their Mate includes spankings and sexual scenes. If such material offends you, please don't buy this book.